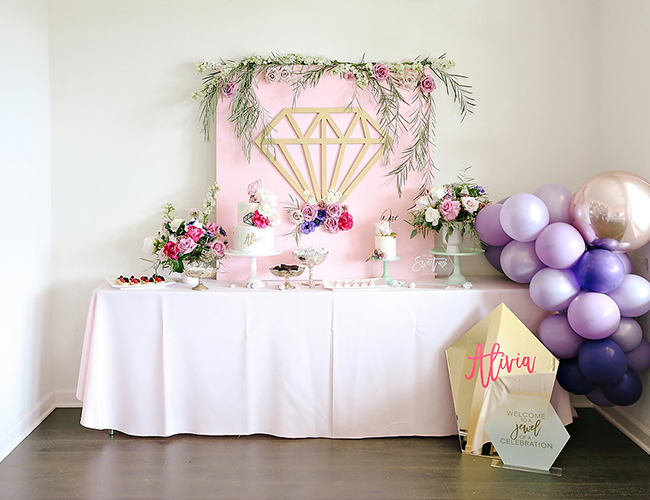 We love a good play on words and a gem themed first birthday party for a baby girl who is a total gem is totally perfect! 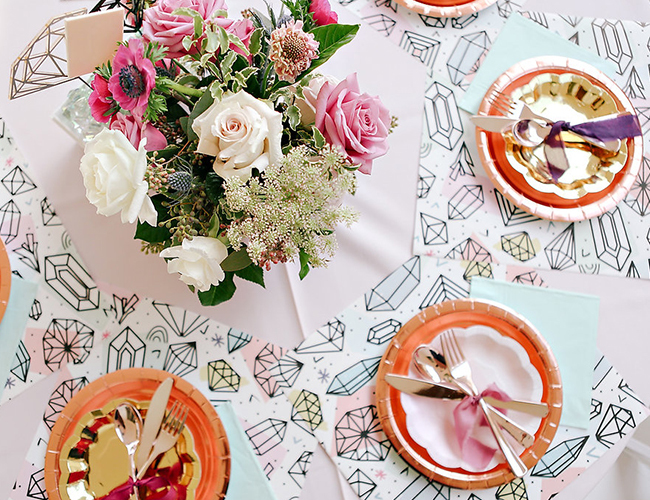 So bring on the diamonds, gemstones, and sparkles! 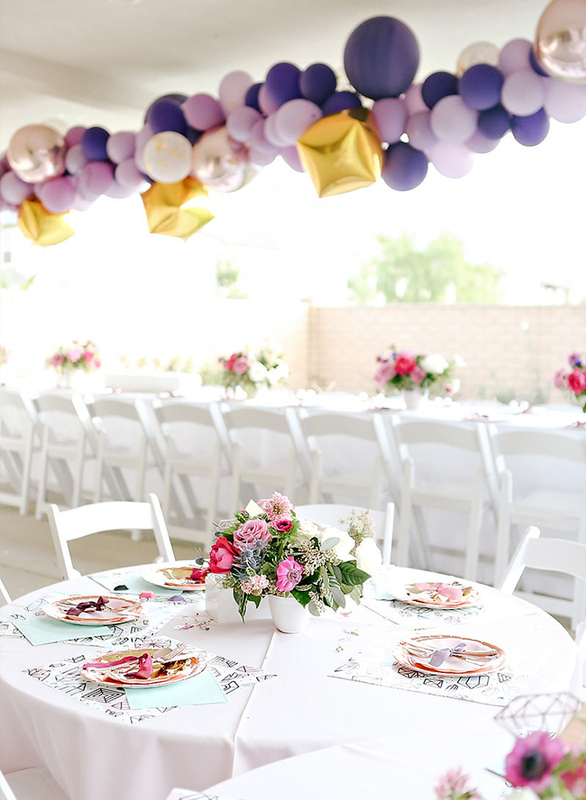 Jenny at Forrest and J filled the party with fun details such as metallic balloons, lucite signage, gemstone place mats, and a sweet dessert display. 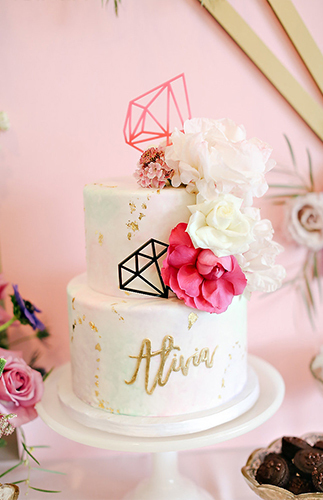 We think this theme is not only the perfect fit for baby, but also inspiring for a Galentine’s or grown up birthday party too! 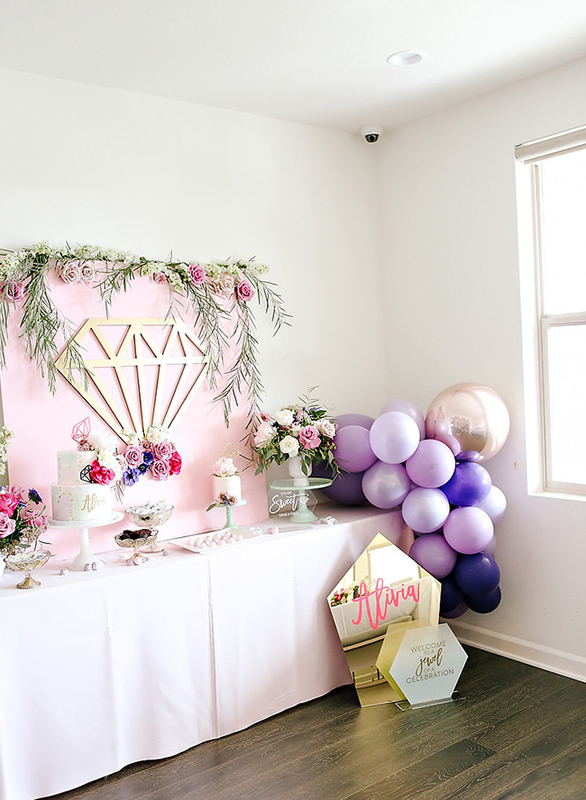 Jenny says, Meagan from MV Florals and I teamed up to create an original GEM themed party for a special little 1 year old, Alivia. 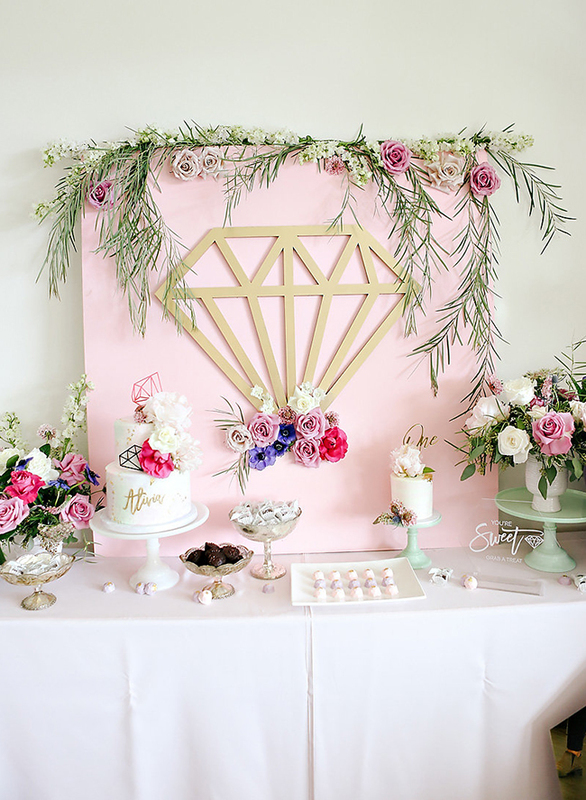 Her Mom thinks of her as the perfect gem and wanted to incorporate this fun theme for all to enjoy. Our challenge was to think of something original for the gem theme and find a color palette that was cohesive with the winter weather season. 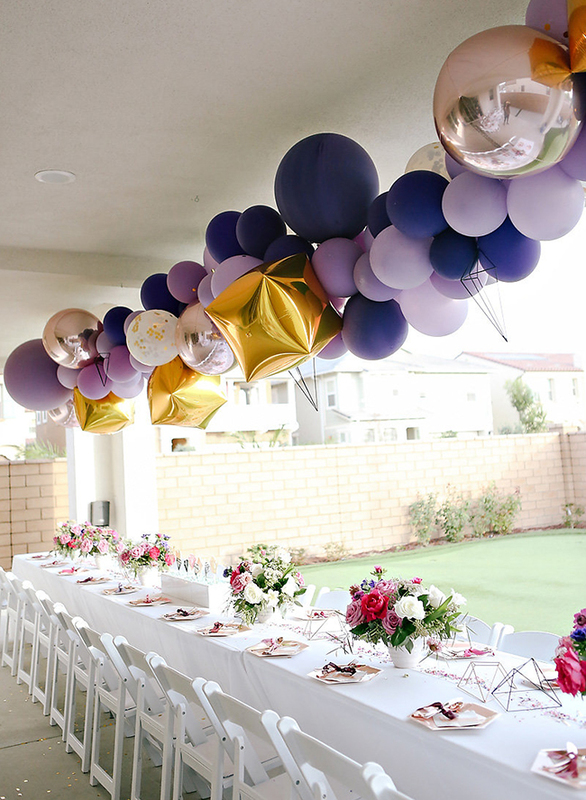 Olivia’s mom loved the colors pink and purple, so I decided to play off the purple palette that most are weary of even attempting. 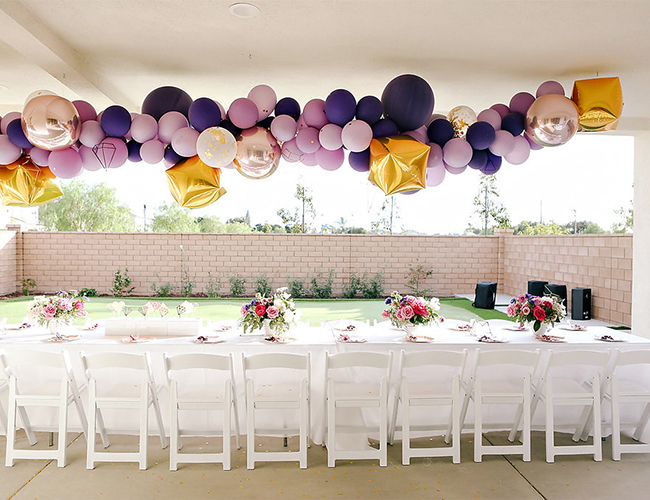 My amazing friend Rachel, from Bonjour Fete, creates insane balloon installs and this is where my purple vision took the cake! 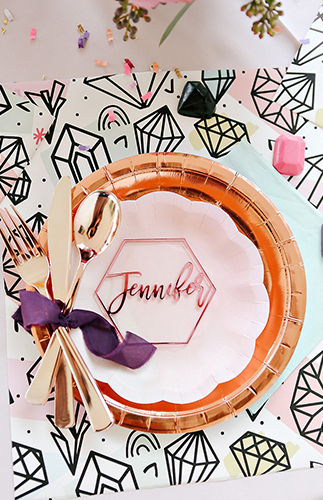 With a color wheel of purples, from eggplant to lilac, we decided to mix in some gem metallics like rose gold and gold mylar. The large garland over the adult table was a showstopper and no doubt, the selfie icon of the night! 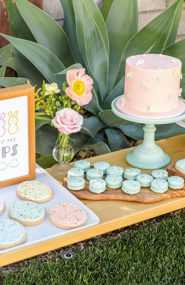 A kids table was a must for this themed event. I loved this Spoonflower.com design I spied and turned the roll of custom wrapping paper into placemats. Gem cut colored crayons and personalized coloring books were fun goodies for the kids during the event. Acrylic is a Forrest and J staple in all my designs. 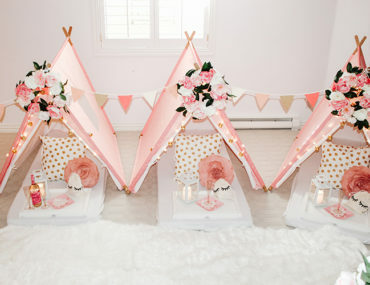 I love the modern approach it gives and adds another element that’s unexpected. 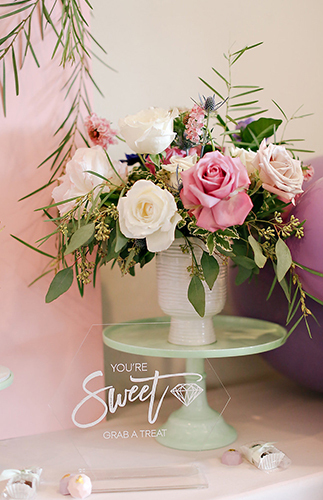 The glam girl team over at Prim and Pixie created my gem centerpiece idea to perfection! I added mint crystal rocks from the craft store to fill the vessels and bring in that much needed hue. 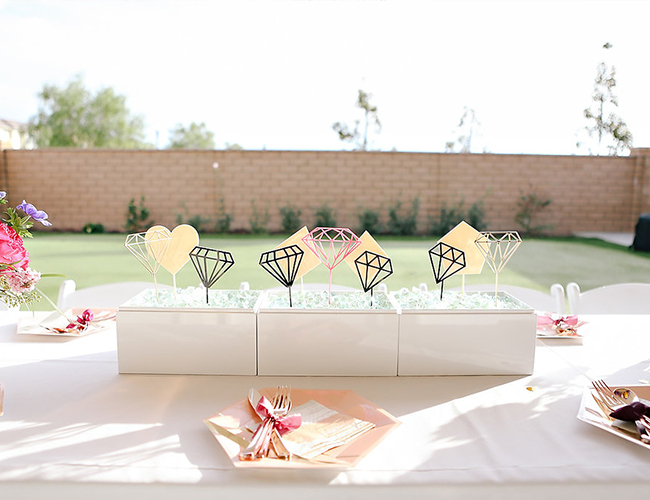 And did you see those gem cake toppers?!! Amazing. 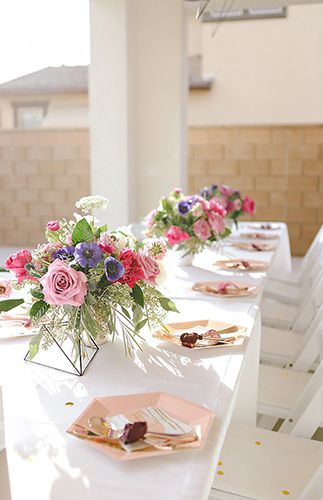 Pink and Purple can be hard to get just right without going over the top girly, so I had Meagan throw in some deep purples to play off the gem themed arrangements. 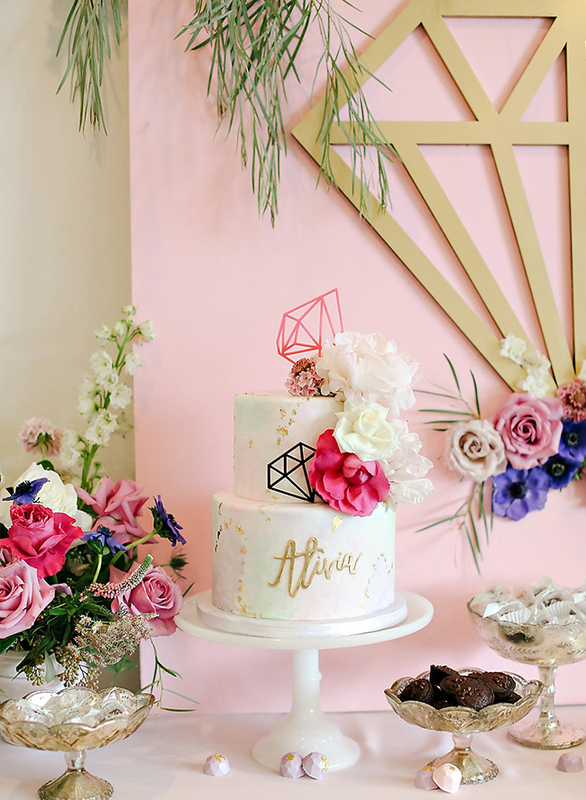 The dessert backdrop was definitely going to be the main event with the biggest bling you’ve ever seen! 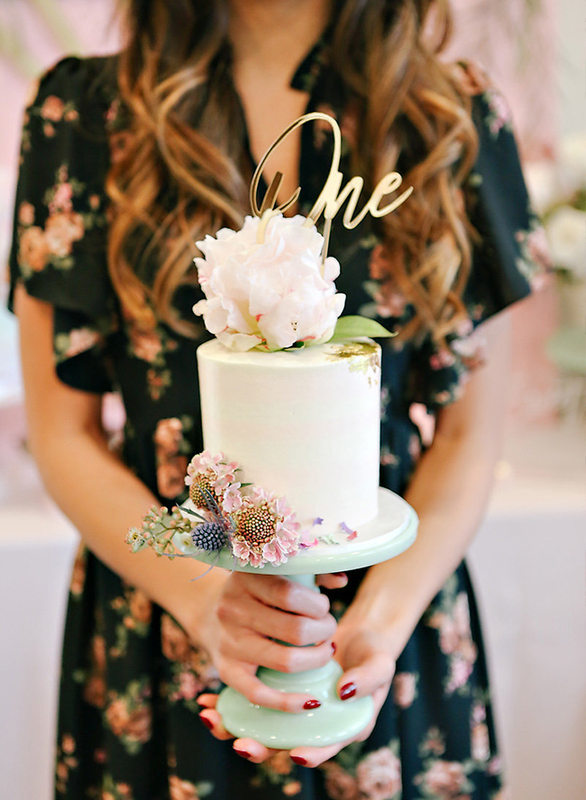 A 3ft laser cut gem by Prim and Pixie was floral-ized to sparkly perfection by MV Florals. 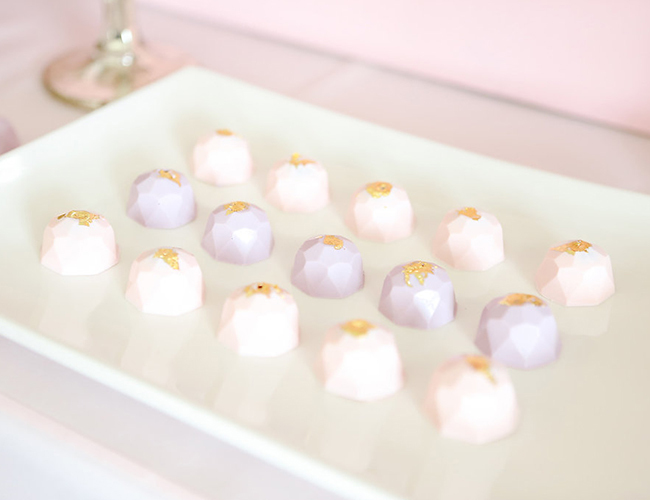 Simply Sweet Cakery’s desserts were not only too delicious to sneak a finger frosted lick, but gave us the prettiest watercolor details to play off the modern black and fuchsia gem acrylics. 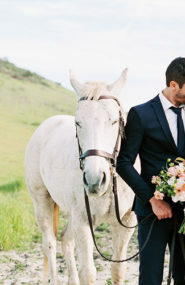 We love working with what we call dream clients. 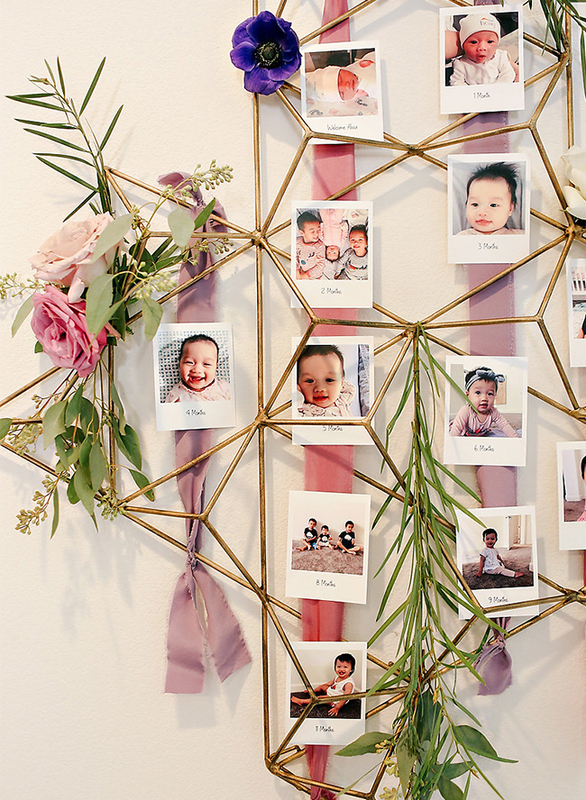 Alvia’s mom, Jennifer, was beyond organized and helped every step of the way to make her little gem shine. 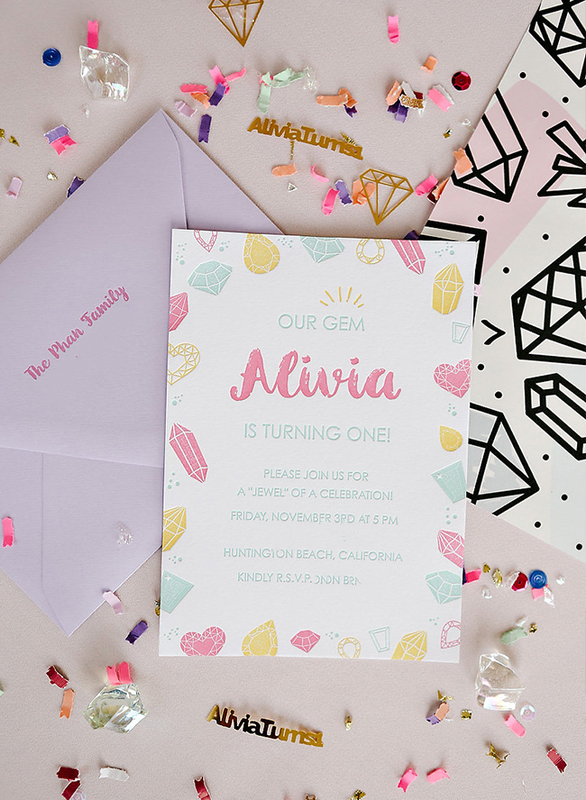 I have to give her props for finding the ultimate confetti with details of metallic gems and mini “Alivia Turns 1” confetti pieces. 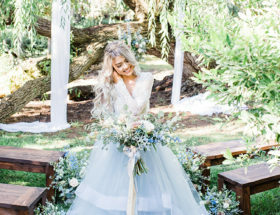 She let us fly with our vision and we love when we get the freedom to create something the client and guests will never forget. 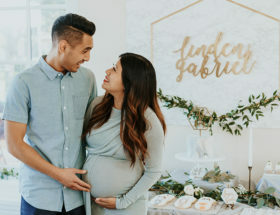 All of the signage is beautiful! Love it! Omg that cake is amazing!